The Travelon Ladies Undergarment Waist Pouch is designed to keep valuables safe and is also convenient to carry. This pouch is constructed from a comfortable, breathable and durable lightweight cotton blends. This elasticized and adjustable waist strap fits wast 30" - 48". Fits Waist 30" - 48"
The Travelon Ladies Undergarment Waist Pouch - Gray has many exciting features for users of all types. You can extend the lifetime of your Travelon Ladies Undergarment Waist Pouch - Gray with the purchase of a FactoryOutletStore Factory Protection Plan. 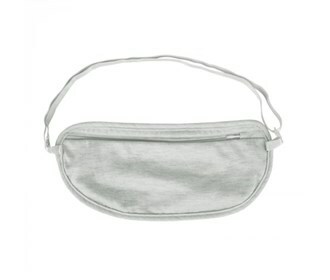 See the Travelon Ladies Undergarment Waist Pouch - Gray gallery images above for more product views. 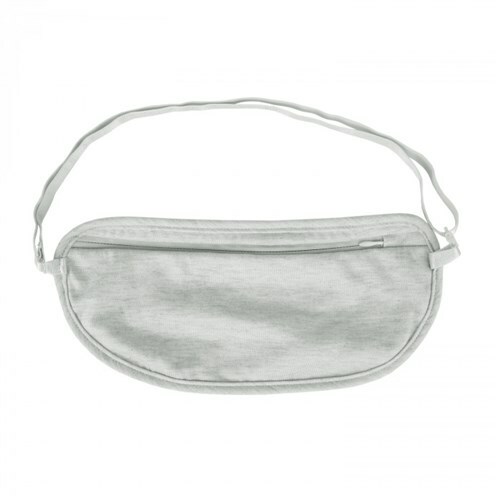 The Travelon Ladies Undergarment Waist Pouch - Gray is sold as a Brand New Unopened Item.